When you have to go to the bathroom and there is no restroom to be found, what do you do? In the olden days, you would have to grin and bear it, experiencing that one-of-a-kind discomfort. Nowadays, however, female urinals are available to help with this dilemma. They enable women to urinate while standing anytime and anywhere. 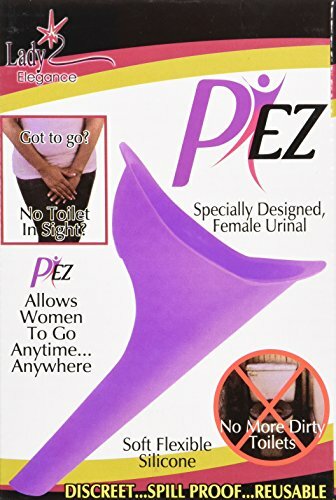 Some female urinals like the Lumex, Duro-Med, and the Medical Action Industries urinals hold the urine, while the Miss Whiz (this purple, nylon urinal can be found under a bunch of different brand names) doesn’t hold the urine, but allows women to urinate standing up. 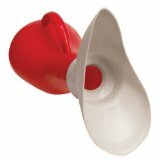 These are funnel-like items made out of medical-grade materials that are easily cleanable, portable and overall can be fantastic solutions whether you are on a long road trip, camping, or just to have in case of emergencies. Let’s take a look at 5 of the best-selling female urinals on the market today! Do you worry about long drives where there is no suitable place to pee? This female urinal is definitely one to consider. With a 1-quart capacity and non-autoclavable design, it is made with comfort and ease of use in mind. It is ideal for long trips or outdoor camping. This urinal only weighs 6.4 ounces. You can take it anywhere because it is lightweight and portable. It comes with an easy grip handle for carrying. One drawback is that it has no lid which according to many users thought should be an important feature to avoid spillage. Whether you are doing sports or camping, if you have this urinal, you will not have to worry about painful bladder control issues on the road. It is made from lightweight and durable plastic material. With a 1-quart capacity and measuring 10 ¼ by 4 ½ inches, it is not burdensome to carry on trips. 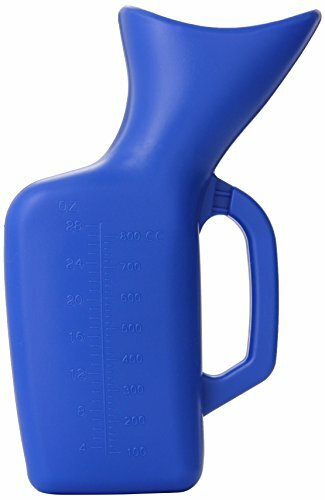 Thanks to its unique design that is flat on one side, it is autoclavable to 100 c. It also comes with a molded handle for one-hand use. Cleaning will be easy with this urinal. However, it has no lid, leaving the smell to go out when not in use. For women who do not want to take frequent trips to the toilet at night, this urinal can be your best friend. This one is a bit different- it doesn’t hold the urine. Instead, it funnels it out, allowing women to urinate standing up. Great if that’s all you’re looking to do, but not ideal if you need to ‘bottle up’ the urine. It also works for outdoor use like when camping or traveling, sailing or biking. It allows users to avoid filthy public bathrooms. With this urinal, you are safe from backwash or splashing as it has a long spout and wide funnel to ensure that that urine is directed away from the body. Made from silicone material, it is lightweight and easily and discreetly slips into a pocket. Several users recommend to practice using it in your toilet to be familiar with proper positioning before bringing it on a trip. A bursting bladder at night or when travelling is every woman’s worst nightmare. Thankfully, there are products like this urinal that allow women to safely and discreetly pee anytime and anywhere. It has a grip handle for easy usage and a wide opening to avoid splashes and leaks. It measures 10.5″ high and 4″ wide with a 1-quart capacity. Made from durable plastic material, this urinal is both lightweight and portable. Because of its ergonomic design, it is also useful for bedridden women. However, it has no lid and is prone to tipping. For its price though, it is still a good buy. This specially designed urinal made from soft flexible silicone will make long trips and outdoor activities more enjoyable for women. Peeing will be possible even in the middle of nowhere. It is spill-proof, leak-proof and reusable. No more dirty toilets from now on. This urinal has a wide funnel, long spout for comfortable use and perfect seal. It is lightweight and can be discreetly kept in the pocket. What’s more is that is easy to clean. Practice using it first in your home before bringing it outdoors. Some urinals are better than others to use while lying down. Make sure that the female urinal you are looking at can accommodate this use of that is important to you. Some people buy small tote bags in which they store the female urinal along with other items like toilet paper, wet napkins and hand sanitizer. This creates a handy on the go solution. Some users prefer a heavier female urinal that is more difficult to tip over when resting. Many of the female urinals are very lightweight and meant for traveling purposes and some users are looking for urinals for bedridden family members, in which case a bedpanmay be a better option. Cleaning is pretty easy for most female urinals- you just need to spray cleaner, rinse it off and then pad dry with a paper towel. Female urinals generally project the liquids away from the body meaning that it is unlikely that there will be an unfortunate mess when used. Besides being eminently functional, female urinals have amassed a great deal of popular attention. Campers, hikers, outdoor enthusiasts and people on long road trips have all embraced the idea and utility of a female urinal. One of the founders of P EZ Credits their company’s production of female urinals to a female employee who thought it would be an amazing idea. Besides it being used for people who are hiking or camping, it does have applications in the nursing field as well. Over at nursingtimes.net, a blogger writes that female urinals are equipped to maintain the dignity of older or impaired women need to empty their bladders in a convenient way. They make an interesting point that female urinals are actually more convenient and less disruptive to use than a bedpan. In the case where a female patient is stricken by pain or otherwise immobilized by a chronic illness, a female urinal is able to help them empty their bladder with minimal movement. The design of these feminine urinals can accommodate different postures, which is important when nursing informed individuals. For example, the blogger writes of caring for patients with knee and hip pain who prefers using the urinal in a standing position. On the other hand, a patient who had suffered severe burns on her back preferred using the female urinal while she was lying facedown or on her side. Individuals with back pain can also find accommodating posture to empty their bladder using use portable urinals instead of the larger and more obtrusive bedpans. If you are looking to purchase a female urinal make sure that you read our reviews above. If you are looking to just grab an affordable option for an upcoming road trip, many cheap alternatives are available for you online. 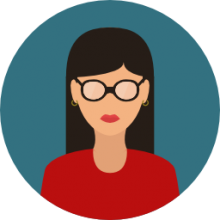 On the other hand, if you are a nurse or a caregiver, you may want to examine the options more thoroughly to make sure that they meet the clinical requirements of the patient you’re caring for.